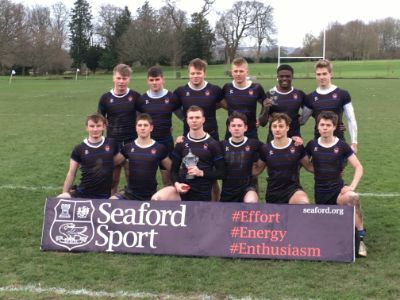 The 1st VII enjoyed a successful start to the sevens season, after a string of excellent performances to win the Seaford Sevens. 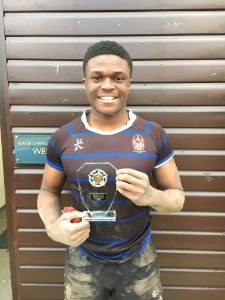 A try in the last play Oludara Odunlami in the opening group match versus Hurstpierpoint, allowed the Dulwich team to grow in confidence and built the foundation for further victories against Caterham and Sevenoaks. Topping the group, Dulwich then faced New Hall in the semi-finals, where an outstanding squad performance, saw the team through to a final versus Epsom College. A bright start in the final saw Dulwich take an early lead through Odunlami, before resolute defence kept Epsom at bay, and Marcus Marchant sealed victory with 1 minute to spare. A wonderful start to the season, however the squad are fully aware there will be tougher challenges ahead as teams continue to develop. Furthermore, Oludara Odunlami was voted Best Player in the tournament by the tournament organisers, a superb individual accolade to receive. Well done Olu and all the squad on an excellent tournament.